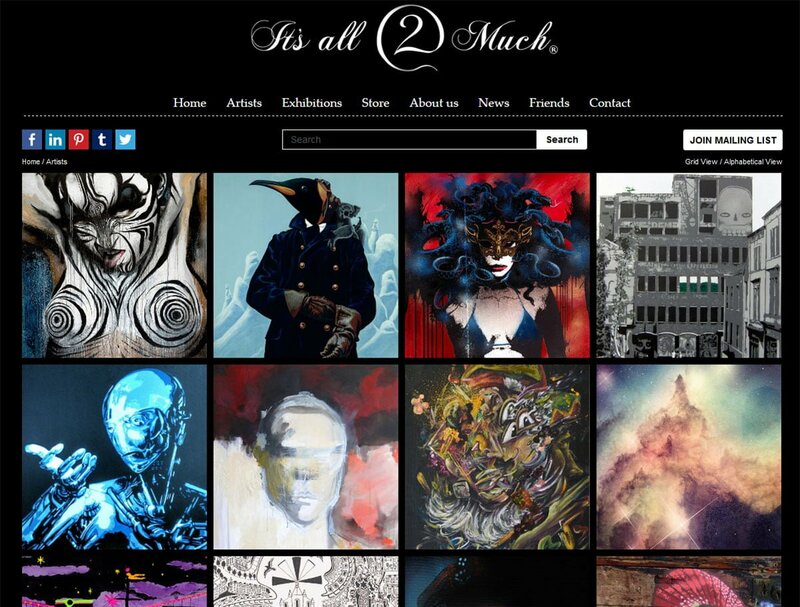 Itsall2much Gallery are based in Stoke’s Croft and features the best urban and street art from Bristol and beyond. 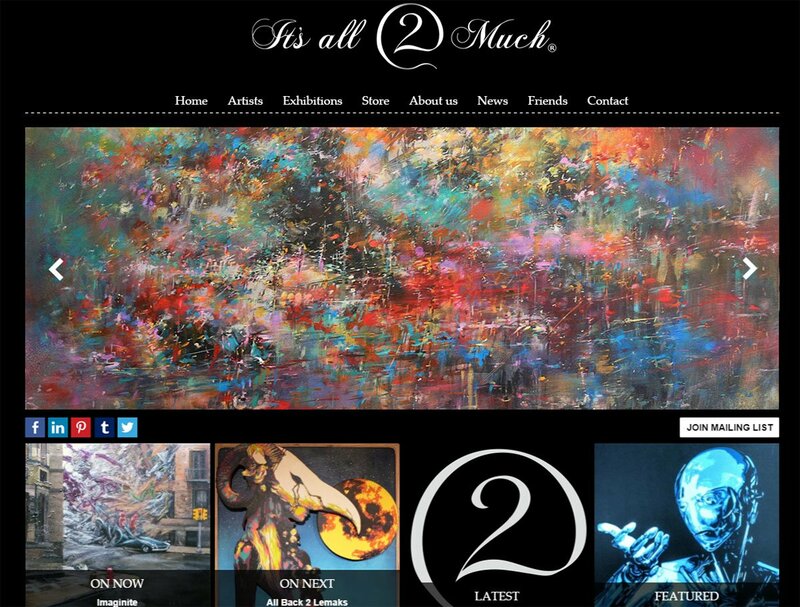 We built a bespoke website that would allow them to manage their artists and their work much more easily than before. A big part of the project was to migrate all of their existing web content from their old website into the new system. We were running a website maintained by ourselves using HTML code, Flash slideshows and a bolt-on shop tailored from an inexpensive store package. This was not a responsive site and with most of our content being visual and presented in Flash, we found the site did not view well from devices such as mobile phones and tablets. We approached Andy at Dreamabstract with some ideas about a whole new look to the site with emphasis on simple navigation and visibility on all devices. The site had to be easy to maintain and there had to be links between the artists, exhibitions and products. It had to have a shop but some products had to be price on application, and with different mailing options depending on product size. Andy was able to advise us of the best way to achieve certain functions and delivered a website with everything we wanted. His team helped us with the take-on of details from our existing site and gave, and continues to give, advice on maintaining the site.